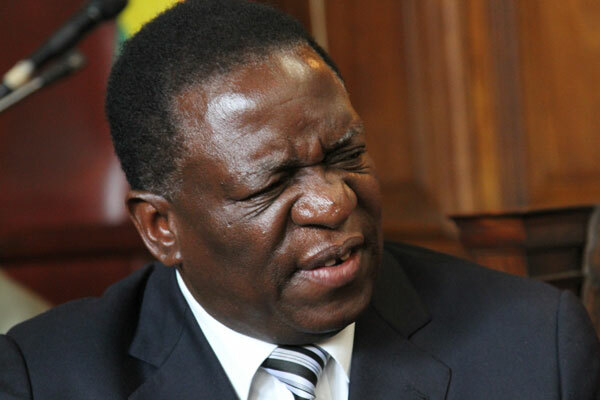 Zimbabwe' is unlikely to have a coup targeted at President Emmerson Mnangagwa succeeding at the president moment because of the divisions in the security services with some loyal to Mnangagwa and others not, a top United Kingdom Professor has said. Stephen Chan, OBE, an author and Professor of World Politics at SOAS, University of London said this while giving his evidence before the UK cabinet on Tuesday. "South Africa has sent signals that a coup will not be tolerated and they hold a lump of liquidity keys that Zimbabwe needs. I would not foresee a coup at the moment of in the immediate future." Chan said. Chan further highlighted that the police, military and Intelligence were divided. "The Security forces are divided very heavily. You have the elite units at the apex for example those who are benefiting from the current suppression of riots. They are probably trying to disguise themselves. But the exact plurality of the Security Forces is something that we can not itemize in exact degree. "I think it is fair to say the President does face a divided security network of which he is not fully in control. The President seem not to be in control of a whole lot of issues. The fact that he left the country after announcing the huge rise in the price of oil does indicate actually that he is not in touch with the reality of the citizens' lives so violence broke out and it was responded to in his absence. So that points to some culpability on the part of the Acting President. "How much the Acting President is in charge of all security forces that again is a very open question. The intelligence services is certainly divided not just the military intelligence but the civilian intelligence as well." Stephen was an international civil servant involved with several key diplomatic initiatives in Africa, helping to pioneer modern electoral observation, and continues to be seconded to diplomatic assignments today. He has twice been Dean at SOAS and has published 29 books and supervised 31 successful PhD theses. He won the 2010 International Studies Association prize, Eminent Scholar in Global Development and broadcasts and lectures internationally.